OSLO, Norway – Like many other sectors the Norwegian bicycle industry is overshadowed by economic uncertainty. The effects of the financial crisis are becoming visible, and many industries are struggling significantly. However, it looks as if the sports industry is successfully maintaining its turnover. 2008 third quarter sales were still ranked as ‘very good’ compared with the same period last year for sporting goods in general and bicycles in particular. The sporting goods industry has been able to maintain its growth figures of the past few years. Although the sector does not generate the same rise in sales as in 2007, the performance is still better than in other retail sectors. Between January and October 2008 turnover increased 6.8% compared with the same period in 2007. If this sales trend continues in the final quarter of this year, the sports industry might come close to the 10 billion NOK (€ 1.04 billion) mark this year. In Norway the sport retail channels nearly always offer a combination of equipment for all types of sport activities, including cycling. According to the retail chains/buying groups who report to Sportsbransjen AS, it has turned out that the Norwegians have chosen to prioritize spending on sports equipment. In the third quarter of this year more bikes, shoes, sports and leisure clothing as well as outdoor equipment were sold than during the same period last year. Being sportive continues to appeal to consumers in Norway. Norwegian bicycle sales are dominated by nine major sport chains. They account for almost 90% of the country’s turnover in sports. The Gresvig group, which includes the G-Sport, Intersport and Sporthuset chains, accounts for more than 40% of turnover in the sports industry. The second largest player on this market, the chain store Sport 1 has grown with 300 million NOK (€ 30.95 million) in turnover after joining forces with Anton Sport this year. Hypermarkets and non-sport retail chains have been flirting with bicycles for several years. Companies like Smartclub, Toys-R-US, and Europris have been selling bicycles successfully for some time now. Quite new in this market is car parts retail chain Biltema, which sells an estimated 40,000 bikes per year, plus related parts and accessories. The 2008 sales season started very early because of an early Easter, but came to a sudden standstill due to snow and cold weather in spring. Even so, the big retailers still reported excellent sales figures this year. 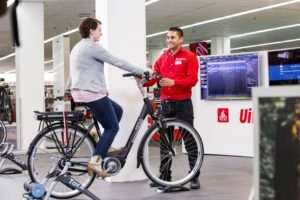 Gresvig (G-Sport, Intersport and Sporthuset) is reported to have sold 25% more bicycles between January and the end of August compared with 2007. Gresvig is forecasting sales of 130,000 bicycles this year. Sport 1 group is reporting an increase of more than 4% compared with last year while XXL estimates an increase of more than 20%. Several retail chains, such as Gresvig and Sport 1, are putting a lot of effort into building their own brands. 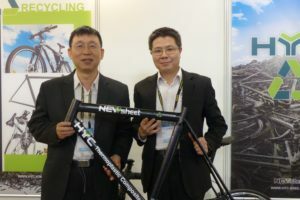 Gresvig’s two brands, Diamant and Nakamura, are alone selling roughly 100,000 units making up about one third of total Norwegian bicycle market. Sport 1, which changed owners this year, introduced its own Exceed brand in competition with A-brands like Merida and DBS made by Cycleurope. The increasing sales power of the retail chains affects the possibilities for the independent brands. It is of the utmost importance for the independent brands to be a preferred supplier to one of the retail chains, which control more than 90% of the market. The MTB remains the most popular category by far in Norway, accounting for more than 50% of bicycles sold. The success of the MTB is well illustrated by the popularity of the ‘Birkebeinerrittet’. It is one of the largest MTB races in the world with almost 20,000 racers. This year’s edition was sold out in an incredible 66 seconds and more than 8,000 people were put on the waiting list. Other popular bicycle events such as The Great Tour of Strength (Trondheim-Oslo) and Grenserittet (Strømstad/Sweden – Halden/Norway) also help to improve the popularity and sales of high-end bicycles as well as parts and accessories. Hybrid bikes as well as road bicycles are becoming more and more popular. 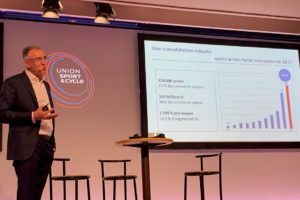 In general the overall market can be broken down into 50% MTB, 20% hybrid, 5% hub gear bicycles, 5% road race and 20% children’s bikes. 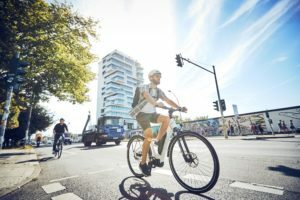 Most Norwegian bicycle owners have two or three models for different categories of bicycle riding and interest in cycling in general is rising. The uncertainty among the retailers about next year’s sales due to the financial crisis has been leading to very cautious pre-sales for 2009. It is also reported that many dealers have a higher inventory than last year. For 2009, bicycle importers also face the challenge of extreme changes in the exchange rates. The exchange rate for US$ versus the Norwegian Kroon has risen from 1US$/5.00 this summer till 1US$/6.6 today. This is an increase of more than 30 %. 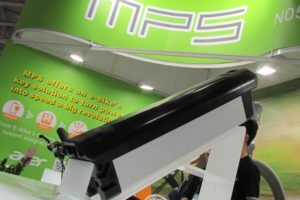 The exchange rate is coming on top of the industry’s price increases for the 2009 product line and will force some importers to raise their prices more than average. The question is how the financial crises will influence sales of bicycles. During the last economic meltdown in the early nineties, bicycle sales were very good in Norway. This could have been caused by the MTB boom hitting the country, but in general Norwegian bicycles sales have also been up in previous slow economic situations.